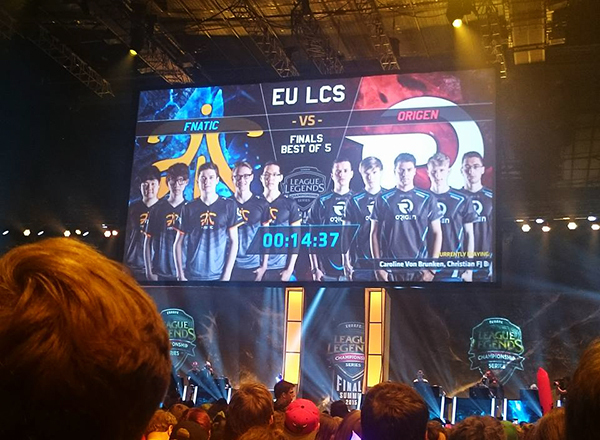 The EU LCS Summer finals in Stockholm. Such a close series! It is simple to learn. Or rather, the basics are. You can start having fun and actually play the game pretty much straightaway, without spending hours learning rules and commands. But while it takes little time to learn, it takes a long, long time to master. A sign of great design if you ask me. The artwork and style is gorgeous. Am I the only one who get super excited every time Riot release a new splash art and/or animation? The professional scene. The casters, the set up, the amazing teams! The dodging of spoilers from the LoL-client when you haven’t had time to catch up just yet! I love watching the EU and NA leagues, and in periods of some-would-say-too-much-spare-time, I follow the Chinese and Korean ones as well. Don’t judge me. Playing with friends and being social while still in your own lovely lair (or apartment or whatever you guys call your space. I like lair. Shelob style!). I have people I stay in touch with solely through League. And that is perfectly healthy and should not be frowned upon. I also highly endorse nerd drinking nights with Aram and alcohol as a delicious wombo combo. So, that one downer about an otherwise epic game? I think you all know. The dark side of the community. When it feels like you’re spending more time trying to convince the top laner that he shouldn’t AFK in your last and deciding promotion game (“Lee will come and gank! Lee, could you please go help top? No, don’t wish for anyone to get cancer, just help us win this. Please hang in there Gnar, just hug the turret and we’ll help out!”) than actually playing, it can get you down. Imagine a League where people did their best, only AFKed if, like, their house was on fire and tried to encourage their team instead of flaming… But hey, I guess it might be healthy that this give us a reason to log off from time to time.